The state has alleged that the university retaliated against a law student for seeking tuition support that UC owed her — raising concerns about the affordability of public grad programs. 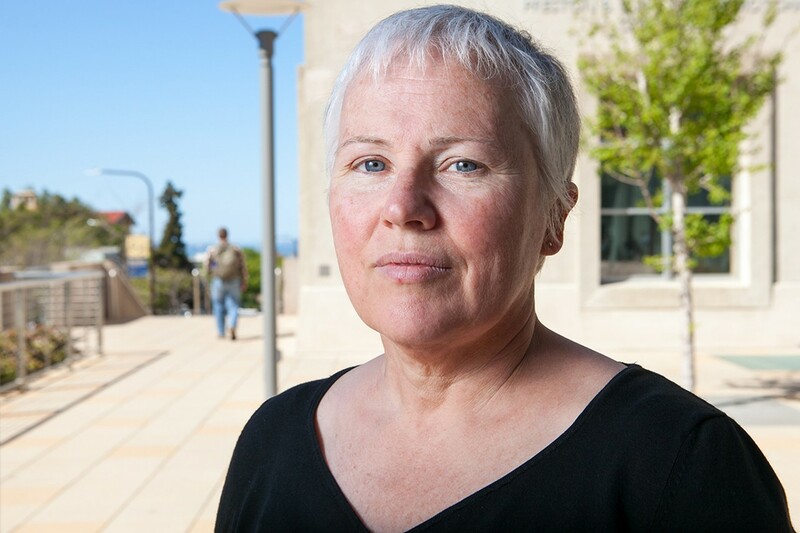 A state labor board has sided with Julie Barrett in her case against UC Berkeley. When Julie Barrett, a 54-year-old single mother of three, decided to return to law school to earn an advanced graduate degree, she knew she had to find a program that was affordable. In fall 2013, she enrolled in UC Berkeley's Master of Laws program — her top choice — with the intention of paying her tuition by working as an academic student employee. When grad students work as teaching assistants or graduate school instructors, the University of California covers their full tuition costs, meaning Barrett believed she would not have to pay the $52,474 tuition fee for her one-year program. But after Barrett began work as a teaching assistant in the fall of 2013, the law school refused to pay for her tuition, according to records Barrett and the UC student-workers' union provided to me. UC Berkeley officials, emails show, told her that students in her master's program — known as an LLM (from the Latin term Legum Magister) — were ineligible for this kind of tuition benefit. After the university refused to pay Barrett's tuition for the fall and spring semesters, the student-workers' union filed a grievance on February 4, 2014, alleging that this refusal was a violation of Barrett's individual employment agreement and the union contract. Two days later, records show, the university fired her from her teaching assistant job. This dispute and a subsequent wrongful termination grievance filed by Barrett prompted a state labor board to issue a formal complaint last month against UC Berkeley, alleging retaliation and other labor violations. The conflict has raised broader questions about the affordability and accessibility of UC graduate programs with critics contending that the public university system has acted unethically — and in Barrett's case, illegally — in its increasing efforts to generate revenue through expensive tuition fees. "They are forcing students to pay private school tuition," said Barrett, who has been unable to complete her master's degree while her dispute with UC Berkeley remains unresolved. "They are raising revenues for the university on the backs of students." Barrett's case centers on programs that UC officials have labeled as "self-supporting programs," meaning graduate programs that aren't state-funded and thus have significantly higher tuition fees than what is standard within the public university system. Officials say that self-supporting programs allow the UC system to enroll non-traditional students — such as mid-career professionals or international students — but over the years, these programs have steadily expanded and become more mainstream. Now, the UC system has more than 50 self-supporting programs that enroll roughly 5,000 students and generate in excess of $100 million in annual fee revenue, according to the university. In addition to the law school's LLM program in the law school, UC Berkeley offers self-supporting programs in business, engineering, data science, and public health. While the annual tuition costs for state-funded graduate programs at UC Berkeley range from $10,000 to $27,000, the self-supporting programs are much costlier — generally more than twice the rates in equivalent fields. One way that graduate students, including those in self-supporting programs, can afford to pay for their education is to take academic jobs that entitle them to "tuition remission" — meaning the university essentially waives their fees. That was the only viable option for Barrett, who received her law degree years earlier and was returning to school specifically to get a more advanced LLM degree. The contracts Barrett signed for her fall and spring assistant instructor jobs — copies of which I obtained — specifically stated that academic student employees working the amount of hours that her job entailed are entitled to tuition remission. The university's collective bargaining agreement with UAW Local 2865 — the union that represents more than 13,000 student-workers throughout the UC system — also states that grad students have rights to fee remission. Yet despite those agreements, the university refused to cover Barrett's tuition costs. After Barrett made repeated inquiries, UC human resources officials told her in an email that students enrolled in self-supporting programs, including the LLM program, aren't eligible for remissions. After reviewing Barrett's case, the Public Employment Relations Board (PERB) — the state entity that reviews grievances involving public agencies — issued a formal complaint in March against UC Berkeley, in which the board alleged that the university violated multiple labor laws. By telling Barrett she was ineligible for tuition remission because she is an LLM student, the university changed its policy without giving the union notice or an opportunity to discuss the revision, which violated Barrett's rights and those of the union, PERB wrote. The PERB complaint further alleges that the university's decision to fire Barrett two days after she filed a grievance constituted retaliation. What's more, after the union filed a wrongful termination grievance, the university proceeded to revoke a different job offer for a summer teaching position that Barrett had previously received from the law school. PERB said this revoked offer also constituted retaliation as did the university's refusal later in the semester to grant Barrett's request to change her thesis advisor (a request that Barrett said is routinely granted). "They clearly didn't want me to raise this issue," said Barrett, noting that she can't afford to pay the more than $50,000 that the university still claims she owes for tuition. She hopes that the PERB complaint will force the university to pay her tuition and allow her to complete her degree. "She was just following procedures based on her rights as a worker," said Krista Cortes, UAW unit chair for UC Berkeley and a doctoral student in education. "It really frustrates me and pains me ... that the university would revoke her job." In addition to the tuition benefits, the assistant instructor position gives students access to healthcare and hourly wages of $12.92. "This had a real impact on her financially," UAW attorney Latika Malkani said of Barrett. "She raised issues and suddenly ... lost her job and couldn't find employment again." When I asked detailed questions about UC's self-supporting programs and Barrett's and PERB's allegations, Shelly Meron, spokesperson for the UC Office of the President, wrote a short email response, saying that the university "will respond accordingly" to the state complaint. While not a final ruling, the PERB complaint — which will lead to a formal hearing if the university and Barrett can't settle the dispute in a state-mediated conference — sends a message that the university can't violate labor contracts and force graduate students to pay exorbitant tuition rates, labor advocates said. "It's no surprise that the self-supporting programs are cash cows for the university," said Cortes. In its original grievance, the union argued that self-supporting programs are still part of a public institution and thus subject to the university's public obligations. By ignoring the union contract and denying tuition support to LLM students, UC has effectively attempted to privatize the self-supporting programs, UAW argued. According to the union, Barrett's original tuition grievance was the first of its kind that UAW has filed in the UC system, and it's unclear if UC Berkeley or other campuses have attempted to withhold the tuition benefit from other graduate students in self-supporting programs. Meron, UC spokesperson, did not respond to my request for data on how many students in self-supporting programs are eligible for and currently receive tuition remission. Meron and union leaders both pointed out that in a recently negotiated contract for student workers, UAW and UC added explicit language stating that students in self-supporting programs have the same rights to tuition remission as those in traditional state-funded programs, but UAW has insisted that this was always the policy. 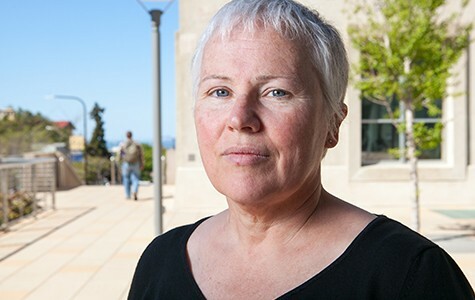 Additionally, critics said, given that UC Berkeley still has not paid Barrett's tuition and that the university originally denied her tuition support in apparent violation of multiple contractual agreements, it remains to be seen whether students in self-supporting programs have adequate protections. Even if the UC respects the rights of self-supporting students, according to Cortes, it can be very challenging for these grad students to find jobs to cover their tuition, and that when grad students do secure applicable teaching jobs, it's often very difficult to balance their workload with their studies. "We're all floundering out here trying to keep above water," she said.